Grrrrreeeeaaaatt! The Capitol Times just reported that former state Senator and GOP candidate for U.S. House of Representatives in CD1, Steve Smith, is joining the American Federation for Children as the new state director. Many LD11 residents (especially those in his home town of Maricopa), were thrilled to get rid of him as our one of our lawmakers. Now though, I imagine public education advocates will likely emit a communal groan to this news. Smith was no friend of public education as a state Senator, and in fact, was a co-sponsor of the full-expansion of vouchers (Empowerment Scholarship Accounts) law. In 2017, he voted for Arizona School Boards Association (ASBA) supported bills only 2 of 7 times. In 2016, he did better, but voted for three ESA expansion bills. In 2015, he voted for ASBA supported bills only 2 of 9 times, with two of those bills being ESA expansions. Back in 2014, he voted against ASBA positions all 7 times, and one of those was an ESA expansion. The American Federation of Children (AFC) of course, is the organization that Betsy DeVos headed before she got the gig as U.S. Secretary of Education. Their mission, according to their website, is: “The American Federation for Children and AFC Growth Fund seek to empower families, especially lower-income families, with the freedom to choose the best K–12 education for their children. Yeah, right, it is ALL about the low-income, disadvantaged child. No matter that “the freedom to choose” means nothing if there isn’t true access to the choice. An example of this is the expansion of vouchers to students living on tribal lands. Ask yourself…how many private schools are there on tribal lands? Exactly! The whole idea that AFC is all about empowering lower-income families “with the freedom to choose” sounds like a nice idea until you know the facts. AFC is no stranger to Arizona, making its presence known via big campaign spending for pro-voucher candidates. In 2014 alone, they spent $205,000 in the state. Smith was one of the recipients of those funds. In 2016, AFC spent $213,000, but evidently none on Smith, they must have considered him safe that year. The last time I met with then Senator Smith in his office at the Capitol, he was complaining about how the Feds were trying to shove something down Arizona’s throat and he wasn’t going to have it. I told him that just like he didn’t like the Feds trying to tell Arizona what to do, locally-elected school board members don’t like state lawmakers trying to tell them what to do. Everyone, I intimated, should stay in their lane to allow the system to work best. He didn’t even acknowledge what I said, but started ranting about how the Feds aren’t the parent, the state is the parent. He was finger pointing and literally, spitting mad. I decided at that point I was getting nowhere and left. 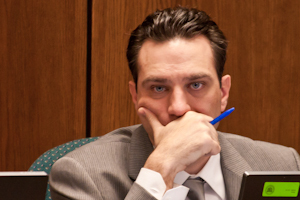 Smith is an ambitious ideologue and will continue his rampage against Arizona’s public schools. Certainly the pro-privatization crowd are not dissuaded by the failure of the full voucher expansion last November. Rather, I suspect they’ve circled the wagons and have been plotting their next assault on our public schools. Smith has certainly had lots of practice doing AFC’s bidding and now can be even more “unplugged” in leading the charge. Or, maybe, just maybe, he’ll be as successful at this, as he was at building the wall he promised to raise money for. Geesh…I keep telling myself! The session hasn’t even started yet! The Legislative session doesn’t start for another week and a half and I’m already tired of the bad ideas being proposed. I previously wrote about HB2002 Rep. Mark Finchem’s (R-Oro Valley) proposal, which would “allow the state to fire teachers who discuss politics, religion, or racial issues in classroom settings.” Yesterday, Newsweek picked up on Phoenix New Times reporting that nine of the points in his bill were “lifted directly from the Stop K–12 Indoctrination campaign, which the David Horowitz Freedom Center sponsors. 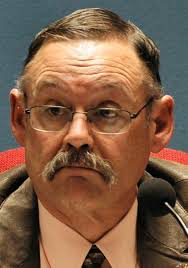 The Southern Poverty Law Center describes David Horowitz as ‘a driving force of the anti-Muslim, anti-immigrant, and anti-black movements.’” Not to be outdone, Rep. Kelly Townsend (R-Mesa) submitted HB2015 which covers the same territory. Now, we have “a self-proclaimed ‘tax activist’ who wants to excuse anyone 65 or older from paying property tax. Her name is Lynne Weaver and she is working with a former state GOP chairman to permanently ban property taxes on AZ home owners 65 and older. What a ridiculous idea! As a Capitol Media Services article points out, if the initiative passes, homeowners under 65 would be left to make up the property tax burden the elderly were relieved of. This tax money after all, funds public education, emergency services and other community programs. In a perfect world, we wouldn’t rely on property taxes to fund these programs because it inevitably results in winners and losers. But the funding for these essential services has to come from somewhere and for now, that’s property taxes. So, not only will there not be enough young people to support the older ones, but Weaver’s initiative would have those young people responsible for picking up the bill for elders’ property tax relief as well? A California transplant, Weaver’s tried to limit property taxes before with efforts based on California’s disastrous Proposition 13, “a 1978 measure rolling back property valuations and capping year-over-year increases.” With this latest effort, she thinks she’ll have more luck targeting only seniors. But, she’ll need to get 356,467 valid signatures by July 2, 2020 for the initiative to make the ballot next year. Which brings me back to another of Finchem’s proposals. He recently announced he wants to allow initiative organizers to collect signatures online. This caught my attention because although Sandy Bahr of the AZ Sierra Club lauded his proposal, I know (given his denial of climate change), he is not proposing this change to help promote renewable energy, or any other sane issue liberals care about. What if Finchem wants the on-line initiative signing capability to help Weaver’s initiative qualify for the ballot? And if it qualifies, what’s the chances the voters will approve it? I don’t know the answer to that, but I do know that the 65+ age group are the most reliable voters of them all. 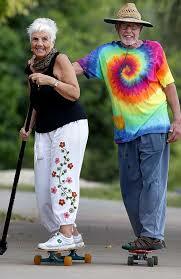 Then again, maybe I’m just getting cynical in my old age. No, I’m not 65 yet, but I do live in an active adult community. And yes, I believe in paying taxes for public education. Retirees (and others) paid for mine after all, and I want to ensure there are plenty of well educated young people to take care of all of our futures. Crazy concept, huh? 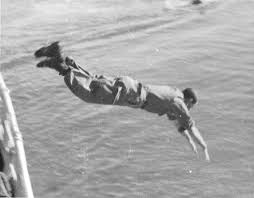 It should come as no surprise to anyone that teachers around the country are jumping ship at an alarming rate. According to the Wall Street Journal, public educators “quit at an average rate of 83 per 10,000 per month in the first 10 months of 2018” – the highest rate for public educators since 2001. That, combined with the aforementioned factors, is putting school district governing boards in a bind. As the past president of the Arizona School Boards Association, believe me when I tell you that governing boards do not want less than fully qualified teachers in their district’s classrooms. But, when push comes to shove, sometimes they are left with little choice. 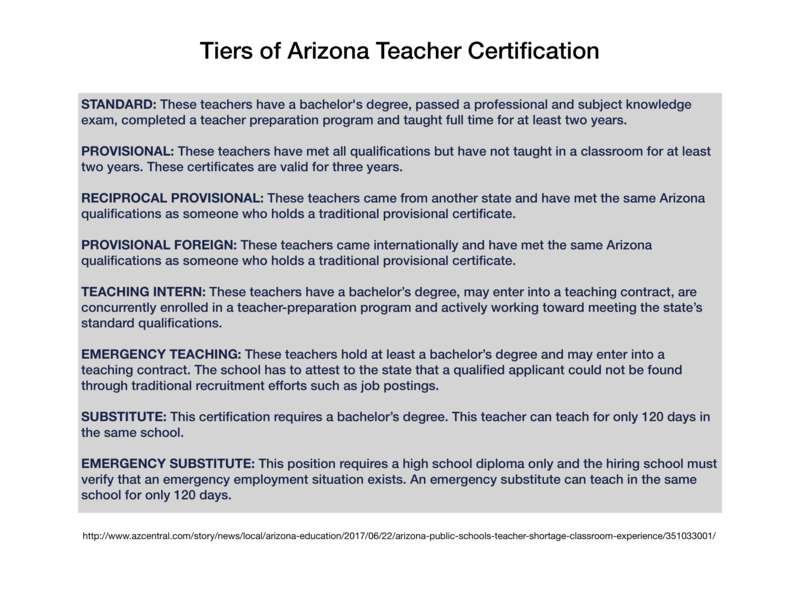 And although a 2017 AZ Republic statewide examination of teacher quality found that “it is rare for schools to fill full-time teaching positions using Emergency Substitute Certificates” (requiring only a high-school diploma), in 2016–17 more than 40 of those teachers were leading classrooms. The Republic also found that “22 percent of 46,000 Arizona teachers either did not meet the state’s basic qualifications or had less than three years’ teaching experience.” And, that over 62% of the state’s almost 8,600 teacher vacancies either had not been filled or were filled with people who couldn’t qualify for a standard teaching certificate. For her part, Townsend says she has no problem with finding more money for the AG’s office. Too bad she hasn’t had the same attitude about adequately funding our public schools. During her time in the Legislature, she voted for multiple expansions (to include last year’s full expansion) of Empowerment Scholarship Accounts (vouchers), multiple bills intended to make it more difficult for districts to garner locally supported funding via bonds and override, and against a 20 year renewal of Prop 301, without which, Arizona’s public education system would have faced a funding cliff in 2021. During her run for the AZ House this past cycle, my wife interviewed a teacher who had left the classroom. Yes, low pay was one of the factors driving her decision, but it wasn’t the primary one. Rather, she was tired of insufficient resources to do the job the way she knew it needed to be done. She was tired of giving her students less than they deserved. That, I posit, is exactly how lawmakers like Finchem and Townsend like it. They don’t want our students taught to think critically about the world around them. Instead, they want compliance with their desired world order. It might seem like a good idea for them and their ilk, but it is damn scary for the rest of us.